I'm having no problem with the audio on the basic file that is recorded and saved in the Captured Videos folder but the exported file saved in the Computer folder following editing doesn't have any audio. Any suggestions? There are many, many outputs and settigns that you can Export with... What are the ones You used? What did you try to play the file with? I'm using VLC to view the files. Can you get someone else to try one of the files and/or post a short sample so we can get a look at it? 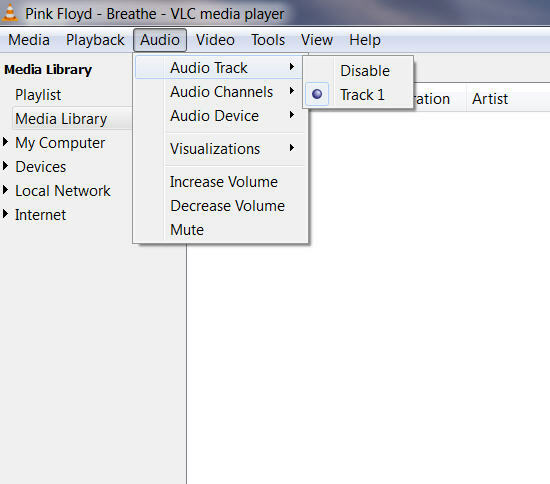 I've seen VLC not start on the correct audio channel/track, what does yours show under audio when your playing the video? Yep, that fixed it. It was starting on Audio track 1 but when I change it to Audio track 2 it's fine. Thanks for your help.